Dr. Armellini is listed in Washingtonian magazine’s “The Very Best Doctors” compilation for 2015, 2017 & 2018. She completed her Endocrinology Fellowship at the University of Miami’s Division of Endocrinology. She also held full-time faculty status and was Assistant Professor of Clinical Medicine at the University of Miami. Additionally, Dr. Armellini was co-Director of the Thyroid Tumor Board specializing in the diagnosis and management of advanced thyroid cancers and thyroid disorders. 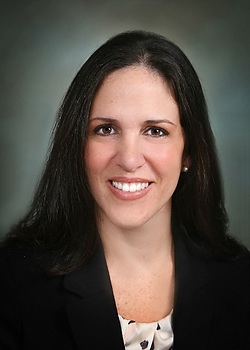 She was the first endocrinologist in Northern Virginia to implement the Afirma Thyroid FNA Analysis technique. This technique greatly improves the diagnostic accuracy of thyroid nodules. Dr. Armellini received her medical degree from the Universidad Central de Venezuela School of Medicine, and her Internal Medicine Residency was completed at Winthrop University Hospital in New York, affiliated hospital with Stony Brook Medical Center. She is currently board certified by the American Board of Internal Medicine in Endocrinology, Diabetes and Metabolism and Internal Medicine. Dr. Armellini also holds current certifications in Bone Densitometry, Thyroid Ultrasound, and Fine Needle Aspiration Biopsy of thyroid nodules. She is an active member of the American Thyroid Association, The Endocrine Society, and The American Association of Clinical Endocrinologists. She currently holds privileges at Virginia Hospital Center. Dr. Armellini speaks fluently both English and Spanish.